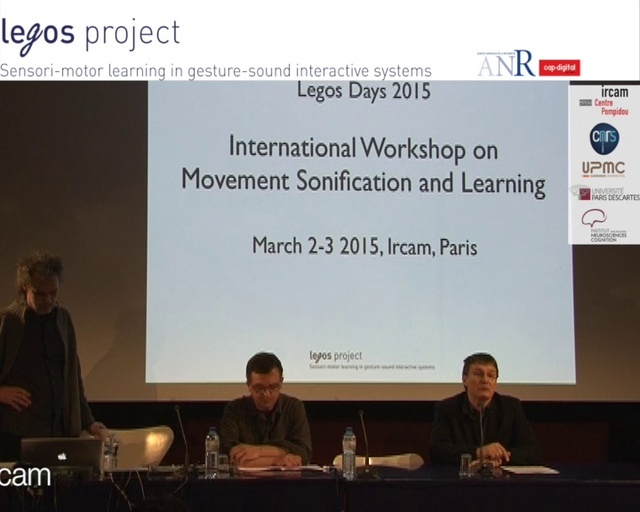 The LEGOS project is a collaborative research project that focuses on sensorimotor learning in gesture-sound systems (the consortium includes IRCAM and UMR CNRS 8242 – Université Paris Descartes). We develop and evaluate movement based interactive systems, taking into account motor adaptation and learning at its core. We also aim at establishing novel methods towards movement sonification for medical applications such as rehabilitation. 3) Interactive sound design where the task is to manipulate an object or a tangible interface that is sonified.